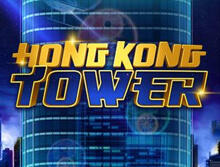 The commonly known slot game Hong Kong Tower is a launch of the ELK Studios. You can play it on any of your devices like tablets, mobile phones or PCs. All that is required to play them is an internet connection along with a web browser on your device. Representing a number of cultures and their themes as found in the Hong Kong city, the game has a lot to offer. The features and graphics of the game are themed on the largest light and sound show of the entire world. There are a total of 5 gaming reels and 99 payout lines. It has a few interesting and intriguing bonus features as well which makes the game even more interesting for the player. The graphics of the game include the neon and the concrete effect on the symbols of the game making it extremely attractive for the player. If you are looking for a good reliable online casino for playing Hong Kong Tower, bCasino is where you should be. The casino has an amazing user-interface with the capability to smoothly run the game without any glitches. High-quality graphics can be experienced with an efficient sound system when playing on bCasino. Their payment methods are surely trustable and adherence of the rules and regulations by the players is also ensured by the website holders. The game is being played on one of the skyscrapers of the city. You can see the lighted up tall tower in the backdrop of the game. Talking about the symbols, the game has attractive icons with innovative designs and bright colors which add value to the game’s overall performance. They represent the bright and vibrant mix of cultures seen in Hong Kong. There are high paying as well as low paying symbols in the game. The high-value symbols include a bright golden numerical seven, a beautiful diamond with a blue shade on it, a bonsai tree, and a pink lotus. All of these four symbols will give you the major payouts in the game. The low valued symbols are no less appealing in appearance. They can be spotted as a symbol representing the earth, another representing blue wave of water, the blazing fire icon, and a couple of more natural elements. They all carry low payout values. The game doesn’t have any wild feature to offer but compensates by giving the mystery symbol which has Honk Kong Tower written on it. The functioning of this symbol will be explained ahead. There’s another red and golden bonus icon known as the Ying Yang Bonus symbol which triggers another bonus feature of the game. The mystery symbol in layman language is the one that can substitute any other symbol on your reels in order to make winning combinations which will help you win more and more. In case you land up with 5 such symbols on your reels, they get converted into 5 bonus symbols that mean your Wheels of the Sky bonus features comes into action automatically. 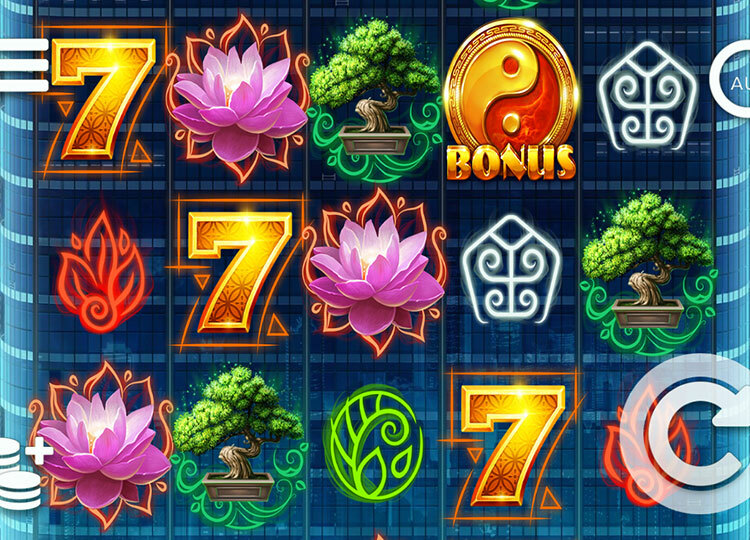 The bright and colorful golden and red Ying-Yang bonus symbols when spotted on the reels in three or more in number, the Wheels of the Sky bonus feature starts automatically. These bonus symbols won’t just take you to the bonus round but would also give you a maximum of 2 extra lives for the game to play with. The exact number of free lives will depend on the number of bonus symbols you got on your reels. Hence, if three Red and golden Ying-Yang bonus symbols appear on the screen, you get the bonus round or the Wheels of the Sky. If four red-golden Ying-Yang symbols occur, you get the bonus round plus one extra life. At last, 5 of these bonus symbols will turn the Ying-Yang symbol in blue and golden color which means you get a bonus round and two extra lives. The spinning of the wheel is similar to that of any normal wheel of fortune. You spin the bonus wheel and wherever the pointer lands, you get to redeem the bonus amount. Every spin needs one life. So after the first spin, if your wheel leads you to a more valuable wheel, well and good, if not, you’ll get a blank segment. In a blank segment, you can respin by using another life and if you aren’t left with any, you have to come back to your reels. Bringing down the liveliness of the city of Hong Kong in a game, it definitely has done justice. Along with a couple of interesting bonus features, you’ll also get to experience some amazing graphics and intense sound effects in the game. Thus, it is surely a recommended game for the online slot gamers.